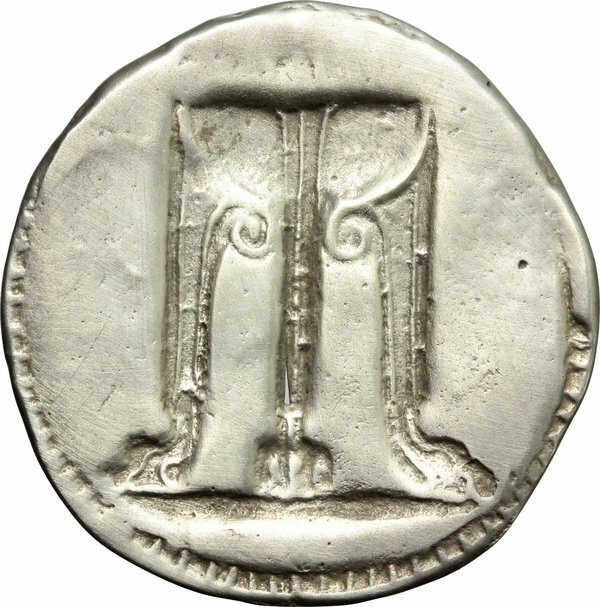 Coins 40 Greek Italy. Bruttium, Kroton. 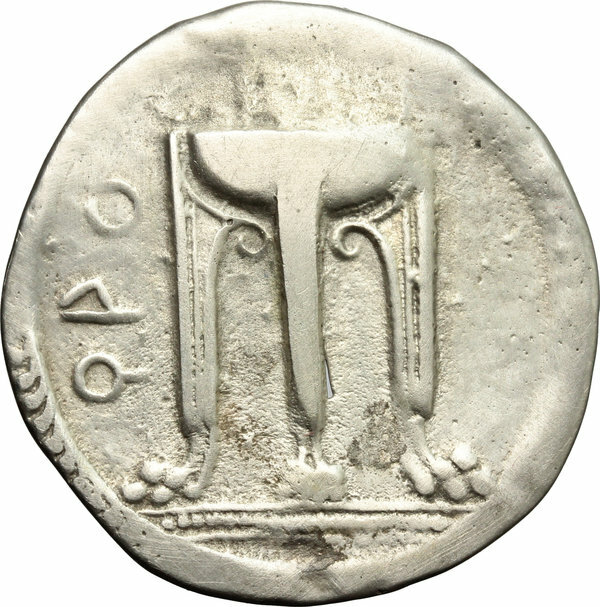 AR Stater, 530-500 BC. D/ Tripod. R/ Incuse tripod. HN Italy 2075. AR. g. 7.08 mm. 29.00 Good VF.